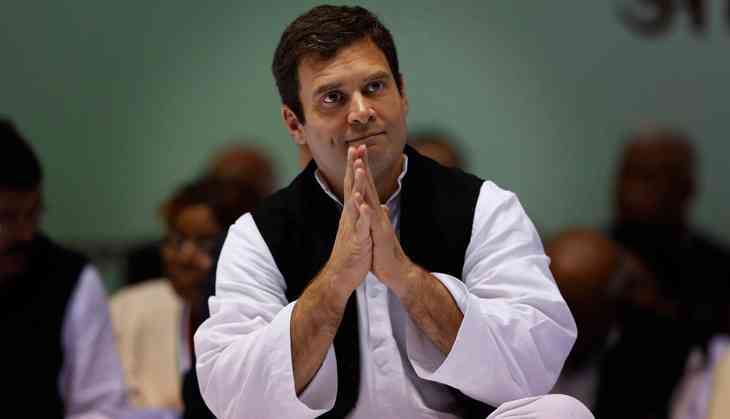 Congress vice president Rahul Gandhi is often asked about his wedding plans and when the question was kept in front of him in a recently held event, the politician simply said that he believes in destiny. At the 112th annual session of Chamber Of Commerce on 26 October, Olympics medalist Vijender Singh quizzed Rahul Gandhi about his wedding plan, responding to which the Gandhi scion said, "This is an old question. I believe in destiny. 'Jab hogi, tab hogi' (It will happen when it does)." Vijender Singh had asked, "People always say when will Rahul Bhaiyya get married" and after receiving his anwer, the champion boxer went on to say "...everybody is waiting for it. It will be quite something if you become Prime Minister and then marry." The 47-year-old bachelor has parried the question numerous times over the years and he has usually been evasive. In another question Vijender asked what Mr Gandhi would do for sports, if he became Prime Minister. "I have rarely seen a lawmaker doing any sports," he said. To which, Mr Gandhi shot back: "I do exercise, swimming, am a black belt in aikido. But I don't talk about it publicly. I do sports one hour every day. Though I admit I haven't done so in the past three-four months." Rahul Gandhi was responding to a Q and A after making a strong pitch for his party's comeback and delivering stinging missiles at the ruling BJP and Prime Minister Narendra Modi.